Night serum LIQ CG aims to provide multilevel skin rejuvenation through correctly chosen acid concentrations. Increased effectiveness of deep exfoliation with glycolic acid maintaining an optimal hydration with hyaluronic acid provides comfort and reduces wrinkles, scars and discolouration, while the addition of nutrients and draining ingredients enhances night-time renewal. Skin is revitalised, moisturised and smooth. 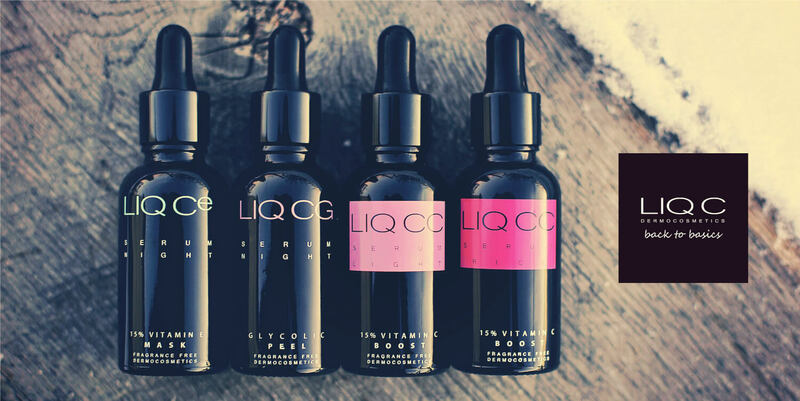 LIQ CG Serum Night Glycolic PEEL is excellent for any type of skin that requires renewal. Night care for both mature and young skin. Glycolic Acid (7%) - Reduces visibility of pigmentary lesions by exfoliation of dead epidermis and regulation of cellular renewal. Stimulates the production of collagen. Hyaluronic Acid - two forms of hyaluronic acid used (Low Molecular Weight Hyaluronic Acid and Hydrolised Hyaluronic Acid) - responsible for optimal skin hydration. It has the unique ability to bind large amounts of water, providing high-level skin hydration. Half the pipette per application (face, neck, neckline). Shake before use. Apply in the evening on cleansed face and neck. Apply under your normal moisturiser all year round or as a 28-day treatment. Avoid contact with the eyes. Avoid exposure to UV radiation. For sensitive skin use every second night.